The Border Patrol Overview is a presentation that gives viewers an understanding about the mission of the Border Patrol and how we accomplish that mission. The presentation will touch on hierarchy and history briefly. It will give a background of how agents operate in the field as well as how our technology and infrastructure assist agents. Viewers will get an understanding on the vast area of responsibility and dangers that agents face on a daily basis. Upon conclusion of the presentation, we like to open the floor to a Q & A session, to give the opportunity for viewers to ask questions on topics they would like to know more about. 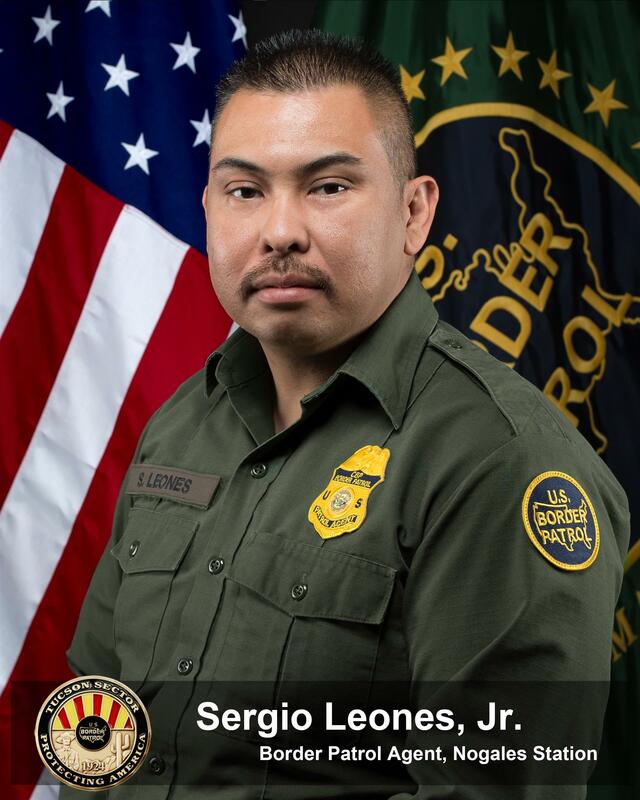 Biography – Sergio Leones, Jr.
Sergio Leones, Jr. began his federal law enforcement career in 2010 as a Border Patrol Agent with the United States Border Patrol in Nogales, Arizona. While in Nogales, Agent Leones worked several details including ZBV Operator at the Interstate 19 Immigration Checkpoint, Border Community Liaison, and Temporary Supervisor over the Processing Center. Agent Leones is currently detailed to the Tucson Sector Field Communications Branch as a Border Community Liaison. He is tasked with reaching out to the community and building strong relationships between community members and the U.S. Border Patrol.